“To reignite passion about space exploration and offer space-related education openly to the public”. 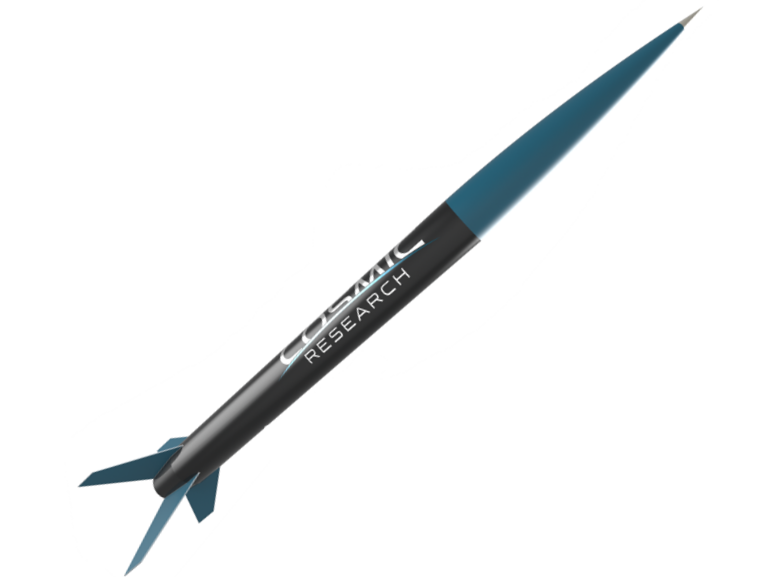 Cosmic Research is a non-profit association dedicated to the development of rockets with scientific applications. It was founded by four engineering students from UPC (Universitat Politècnica de Catalunya) in Terrassa, Spain, in 2016. Our objective is to become the first-ever team of university students to send a rocket to the frontier with space, set at 100 km. This limit is known as the ‘Karman Line’, and it is widely recognised as the separation between Earth’s atmosphere and outer space. With this endeavour, we intend to revive the passion for space and to educate the new generations of students in rocket science. On March 11, 2017, Cosmic Research launched Resnik, its most powerful rocket to date. Enclosed in a 2.2-meter long, carbon-fiber airframe was the rocket’s combustion chamber, containing 2.3 kg of a homemade epoxy and potassium nitrate propellant formula. Resnik reached a peak altitude of 1930 meters and a top speed of 1000 km/h, about 80% of the speed of sound at Sea Level. To this day, it remains as the highest-flying rocket ever built by Spanish students. Cosmic Research is the official launch provider for the regional ESA CanSat Competitions taking place in Spain. In the year 2018, Cosmic Research launched 15 can-sized satellites developed by teams of high-school students. Over 100 students could learn through the competitions. Read the article here. As an assocaciation, we regularly develop these and other educational activities targeted at the young. By doing so, we provide junior students opportunities to learn about space and basic engineering. Space poses extreme challenges that help catalyse scientific and technological progress like no other human activity. Numerous tangible benefits stem from it: radionavigation-satellite services like GPS, digital camera sensors, advanced cancer detection techniques, and even adult diapers – the list is very long. Additionally, rockets play an important role when it comes to gaining access to space. To this day, these are the only human-made vehicles capable of launching payload into orbit. Despite not being capable of launching satellites into orbit (yet), our technology already has useful applications. Sounding rockets can be – and are in fact, regularly used – to perform tasks like Earth observation and microgravity experiments. Our goal, however, is not to compete at a commercial level, but to train students to be competitive in the space sector of tomorrow. 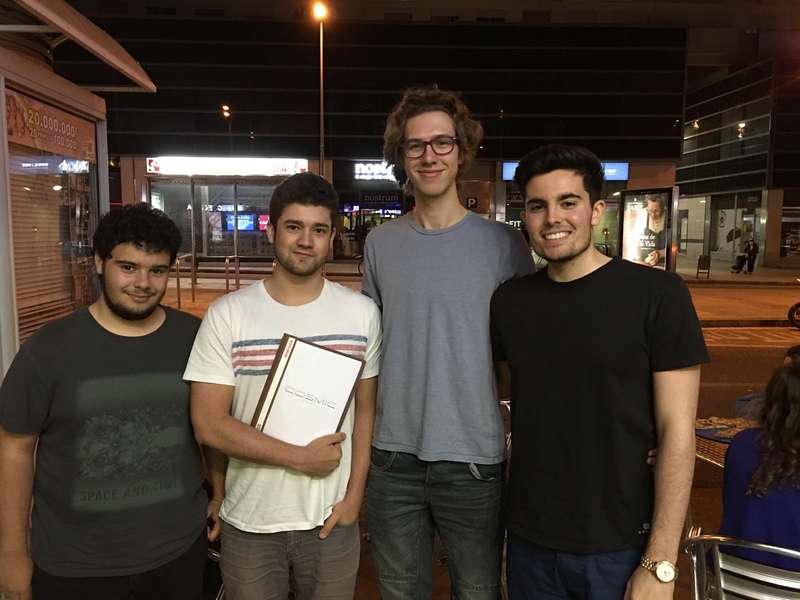 The association is founded in Terrassa, Spain, by four engineering students. From left to right: Guillem Castro, Alberto Pulido, Manel Caballero and Víctor Ubieto. They all are space exploration enthusiasts who dream of an ambitious project to complement their university education with. As of 2019, Joan Mitjans and Xavier López have joined as associate members along with the four cofounders. An advanced commercial rocket, Valentina, is successfully assembled and launched from Alcolea de Cinca, Spain. This serves as a “Baptism of Fire” for the team. The rocket included custom avionics in its second launch, taking place in August 2016. It reached an apogee of 900 meters. It is named after Valentina Tereshkova, the first woman to fly to space. Resnik was designed and built from scratch using advanced composites and space-grade aluminum. It was our first rocket to include full-duplex real-time telemetry and a experimental motor propelled by an epoxy and potassium nitrate mixture. Its main purpose was to test the rocket subsystems, all of which were essentially homebuilt. Resnik reached an altitude of 1930 meters according to the onboard instruments. It is named in honor of Judith Resnik, a female American astronaut who died in the Space Shuttle Challenger tragedy. 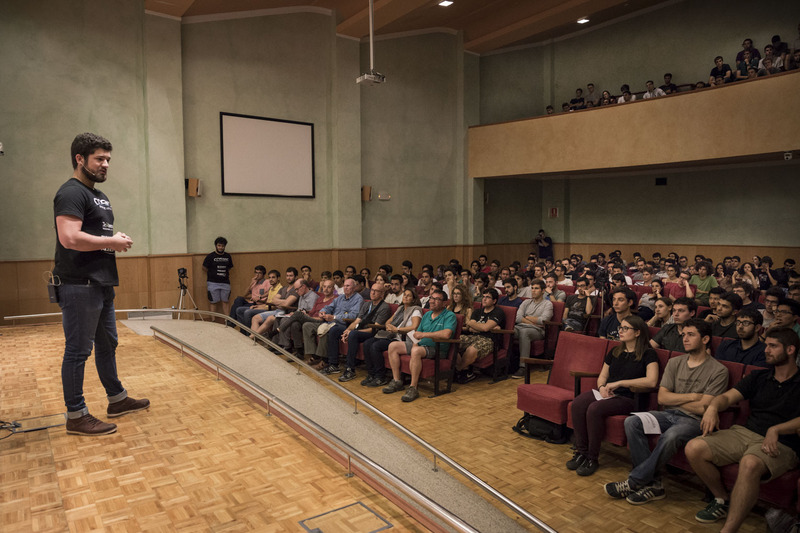 Cosmic Research held its public presentation event in UPC ESEIAAT’s main building, the TR5. More than 300 attendees got first hand details on what Cosmic Research was about, what we had accomplished until then, and what we aimed to achieve in the future. Many of them were impressed by our achievements and some sent their applications to join the team. The team holds a meeting to evaluate the current state of the project and decide its next step. Based on their experience from previous rockets, the board of Cosmic Research proposes to develop “the predecessor” of the actual space rocket. This rocket is therefore conceived as a prototype of the rocket that shall reach space before 2022. It is named ‘Bondar’ as a tribute to the first Canadian female astronaut, Roberta Bondar. The intended apogee for Bondar is set at 15 km, the beginning of Earth’s stratosphere. Cosmic Research partners with CanSat España and other public and private entities to launch the ESA regional Spanish CanSat competitions. The focus of the competition is to provide high school students an opportunity to launch their can-sized satellites. The organization of the competition is done in collaboration with the European Space Agency. 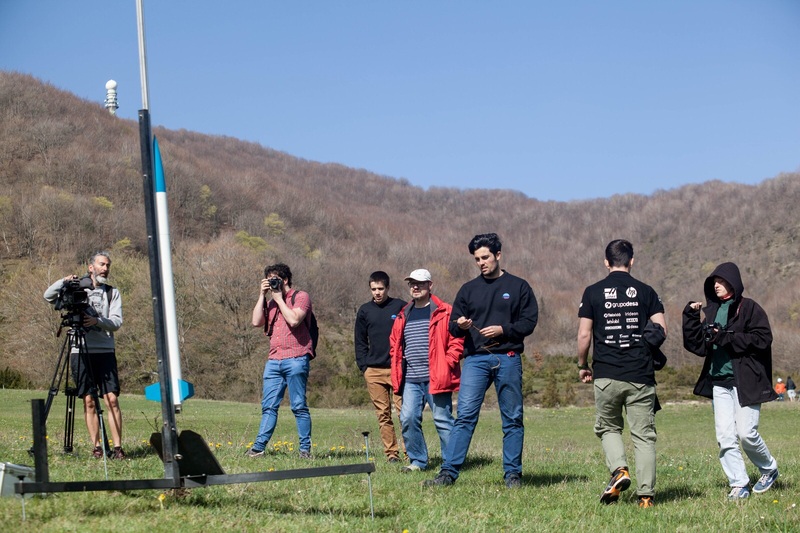 Cosmic Research participates as the official launch provider for the competitions, taking place in Berrozi (Basque Country) and Campo de San Gregorio (Zaragoza). 15 mini-satellites are successfully launched during the competitions, involving over one hundred students from all over Spain. One of the major differences between Bondar and its predecessor, Resnik, is its propellant. From the early phases of the project, it was clear that Bondar could not rely on Resnik’s epoxy-potassium nitrate formula, but had to be propelled by a more efficient, powerful one. An aluminum and amonium nitrate experimental formula was the base of the study of a new propellant developed by Cosmic Research. On October 2018, one of the first iterations of Bondar’s motor was tested. The result was an unsuccessful experiment that helped pave the way for new iterations.